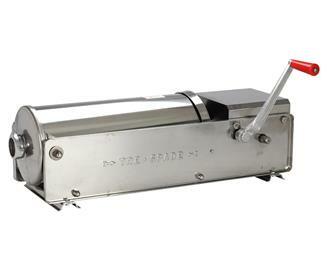 Putting sausages, merguez, chipolatas, pudding or saucisson into casing is fast and easy. 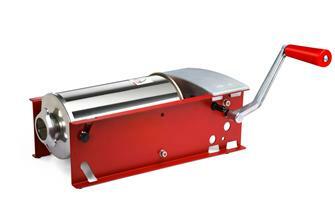 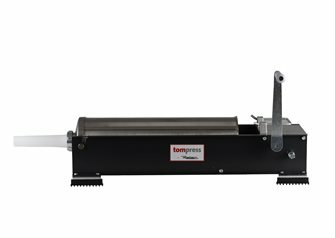 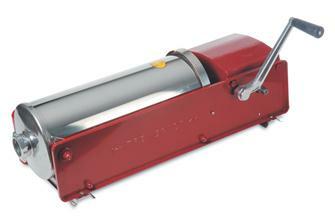 Horizontal 15 litres TRE SPADE meat stuffer, 2 speeds, 4 funnels. 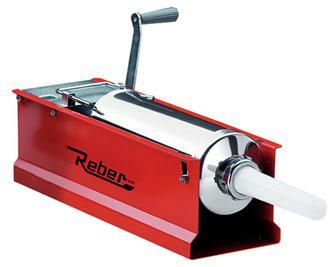 Horizontal 3 litre REBER meat stuffer, 1 speed, 4 funnels. 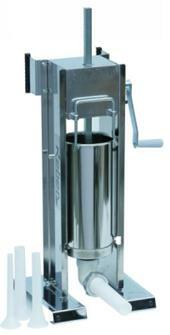 Horizontal 5 litre REBER meat stuffer, 2 speeds, 4 funnels. 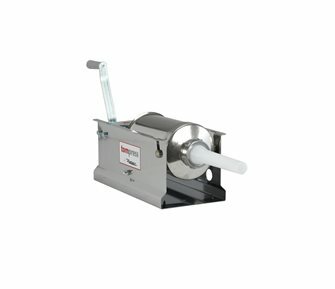 Horizontal 6.5 litre REBER meat stuffer, 2 speeds, 4 funnels. 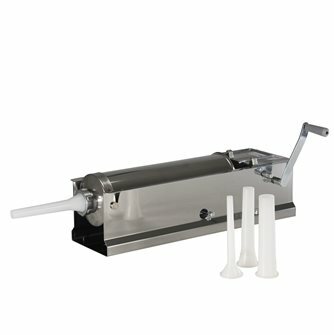 Horizontal 10 litre REBER meat stuffer, 2 speeds, 4 funnels. 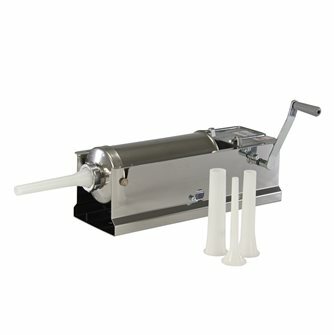 Horizontal 12 litre REBER meat stuffer, 2 speeds, 4 funnels. 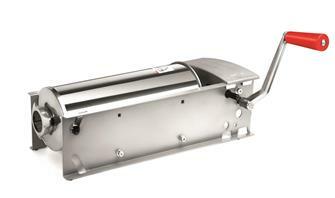 Horizontal stainless steel REBER 10 litre meat stuffer, 2 speeds, 4 funnels. 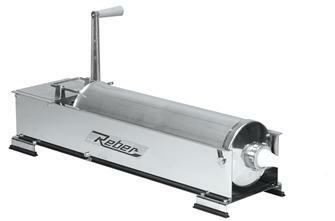 Horizontal stainless steel REBER 12 litre meat stuffer, 2 speeds, 4 funnels. 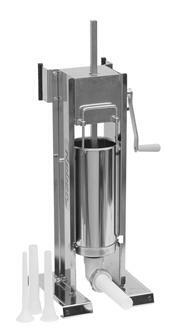 Horizontal stainless steel REBER 5 litre meat stuffer, 2 speeds, 4 funnels. 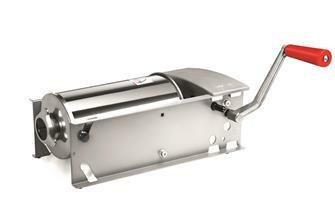 Horizontal stainless steel REBER 6.5 litre meat stuffer, 2 speeds, 4 funnels. 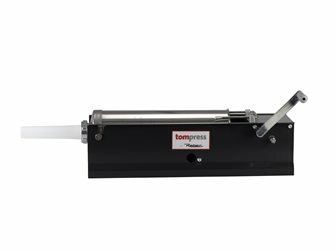 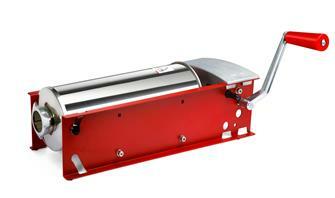 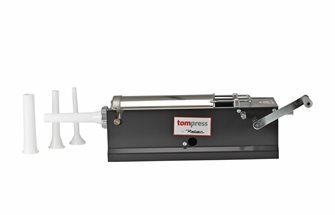 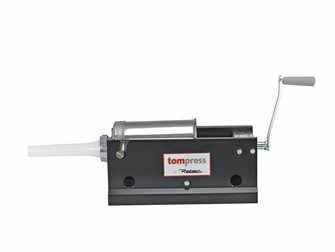 Horizontal 15 litre stainless steel TRE SPADE sausage filler, 2 speeds, 4 funnels. 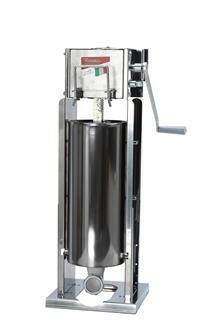 Horizontal 10 litre stainless steel TRE SPADE sausage filler, 2 speeds, 4 funnels.